Treading rough waters: Why it’s important to continue lessons even when your swimmer isn’t having it. Thoughts from a 36 yr old mom who never learned to swim. One of my earliest memories of being in a pool was when my uncle threw me into the deep end of an in-ground pool during a family vacation (this was the 80’s and I think he thought he was being funny). I was around 6 years old, didn’t know how to swim, and even though I was probably only under water for a few seconds before my dad (who was in the pool close by) pulled me up, I remember feeling terrified. I was born in Brooklyn NY, in the early 80’s, so my only exposure to a pool back then, was during our annual family vacation to Wildwood, where I spent my days floating in the motel pool while wearing a giant inner tube. Swimming lessons just weren’t a thing on my parents radar. Fast forward a few years to when we moved to suburban Morris County NJ, where every one of my neighbors had a pool….and, I still couldn’t swim. I stayed in the shallow end while my friends jumped off the diving board. When I was in 5th grade my mom enrolled me, my sister and my brother (7 and 4 years my junior) into swim lessons at a local program. I was immediately put in the highest level “shark” program because I was about 6 years older than most of the kids in the program. I remember the teachers corralling the 10 or so kids in my class over to the diving board on the first day and telling us to jump off. I wouldn’t do it, and I spent my swim lessons holding on to the side of the pool. 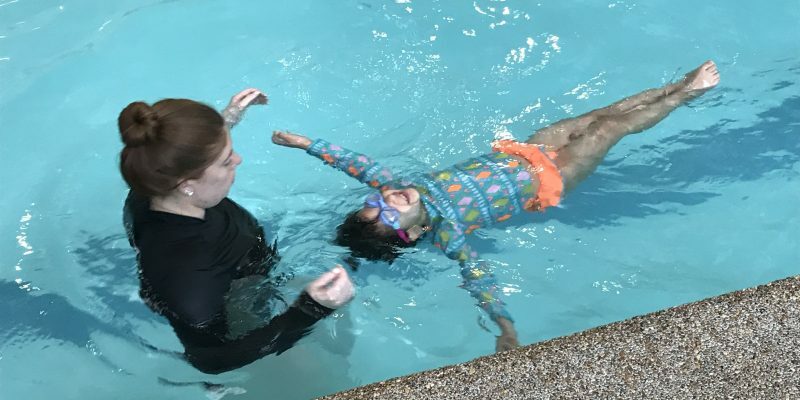 Thankfully, throughout my teenage years and adulthood, I was able to pick up swimming to the point that I can save myself from drowning in a calm, pool situation…but, it was after I had my own children, and after my boys had been swimming with NJAC for years that I realized- I really don’t know how to properly swim! 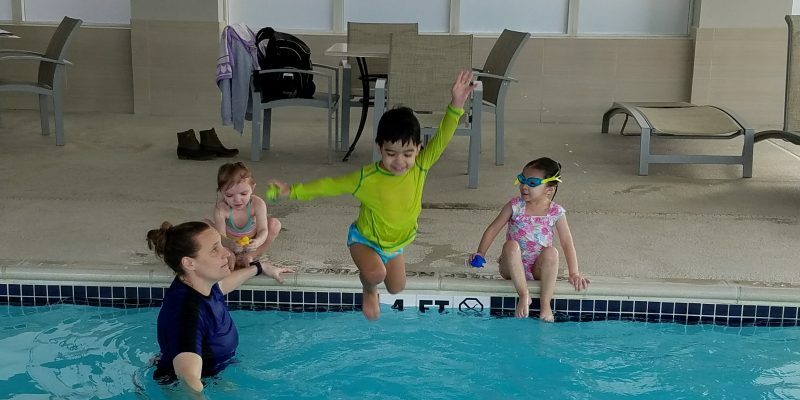 If I had to save them, or someone else from a dangerous drowning situation, I don’t know if I could get to the bottom of the deep end of the pool and pull them up to safety. I mean (…and here is the ridiculously embarrassing kicker…) I still have to hold my nose when going under water, for god’s sake! I just saw an article on the Scary Mommy site a few days ago about how singer John Legend never learned to swim, and how he is now learning with his young daughter at her swim lessons. 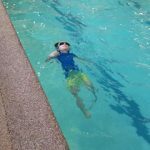 It inspired me to share my experience and also to vow to learn how to properly swim this year! The NJAC adult program offers a drop-in schedule, so you can register for whatever classes meet your scheduling needs. 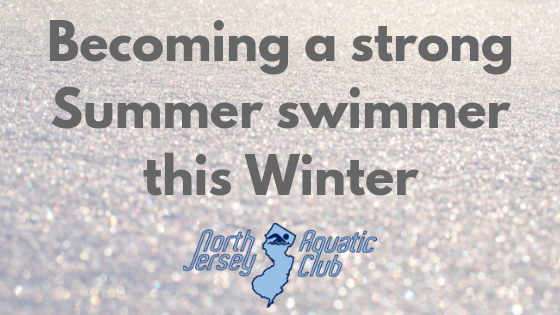 The pool is shallow at 5 ft, so all abilities and levels are welcomed….no judgement and no embarrassment at all. As a mom, I realize now and preach constantly how incredibly important it is to start your kids in the pool young! NJAC parent/child classes begin at 3 MONTHS OLD! 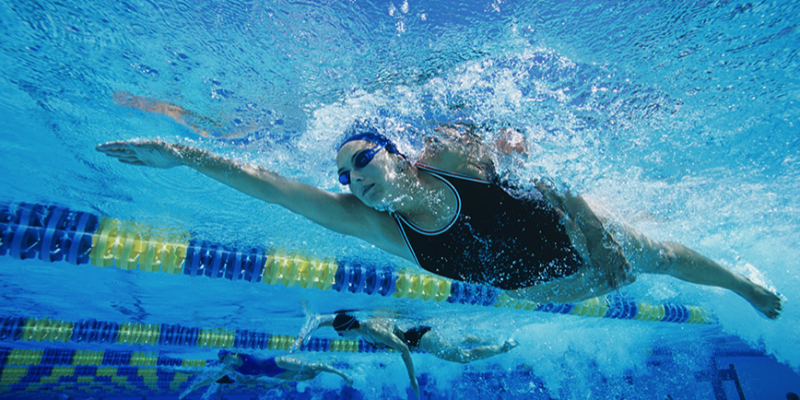 Is your child going to become a champion swimmer by they time they turn one if you start them that young? Nope. You are starting them young so they are comfortable in the water, and start to gain confidence and trust!